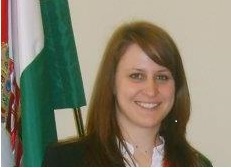 Anita Rozália Nagy-Nádasdi is a lawyer with expertise in asylum and migration and a Ph.D. student at Pázmány Péter Catholic School Faculty of Law. The outcome of the lawsuit launched by the Hungarian Government against the EU Council’s decision on compulsory relocation of asylum seekers before the European Court of Justice (ECJ) took no-one by surprise, neither in Budapest nor elsewhere. Some may have hoped that the complaint would succeed legally, but nevertheless it has always been primarily a part of a well-devised political strategy based on the idea of national identity as a concept of constitutional and EU law. When the machine was set in motion and the complaint was filed in December 2015 there was a small wave of shock and confusion among scholars and legal practitioners. Its legal basis was weak at best. From a political point of view, though, it was apparent that the referendum about compulsory quotas in 2 October 2016 and its partial success backed the legitimacy of the C-647/15 case. Less than half of the population with voting rights voted in the referendum but an overwhelming majority of those who took the ballot rejected the quotas. The questions of the referendum were formulated in a way to be easily understood but from legal point of view it mixed the quotas set out in Article 2(4) of the relocation decision with Chapter VII of Commission’s proposal of recast of Dublin III regulation about the legal instrument intended to use in time of emergency. The term of ‘forced settlement’ was coined in the public discourse to paint the resettlement obligation as an attack against constitutional identity. The referendum provided a political basis for rejection of compulsory quotas, and in line with that legislative steps were taken: an amendment to the Fundamental Law was proposed to introduce an explicit obligation of the state to protect the „constitutional identity“ of Hungary and a prohibition of the settlement of „foreign population“ (not including EEA citizens) in Hungary into the constitution – legally somewhat cloudy but politically rather blunt. The amendment was later rejected due to a lack of political compromises on partially related issues. Nevertheless, it played a crucial role in the national discourse. After the radical change in national migration policy in 2015, the referendum and the attempted 7th amendment of the Fundamental Law in fall of 2016, by wintertime the Constitutional Court (CC) declared in its decision No. 22/2016. (XII.6.) AB that Hungary’s constitutional identity is rooted in its alleged „historical constitution“ and „a fundamental value not created by the Fundamental Law – it is merely acknowledged by the Fundamental Law. Consequently, constitutional identity cannot be waived by way of an international treaty – Hungary can only be deprived of its constitutional identity through the final termination of its sovereignty, its independent statehood. Therefore, the protection of constitutional identity shall remain the duty of the Constitutional Court as long as Hungary is a sovereign State.“ The background of the decision is a constitutional complaint concerning the legality of the relocation decision. The complaint assumed that its implementation might constitute a collective expulsion of third country nationals which would be an infringement not just of Article XIV of the Fundamental Law prohibiting collective expulsion of aliens but also of international law in general. However, the CC examined only the control of national identity originated from Article 4(2) TEU, but not the relocation decision itself by declaring itself incompetent to scrutinize decisions taken by EU institutions and pointing to the pending ECJ case. The scope of the decision and its reasoning of identity and sovereignty control against EU actions is controversial not only among the judges of CC but in the academic field, as well. The legal documents issued since Spring 2015 in the context of the European Migration Agenda leave no doubt that the reservations against the EU relocation decision are unfounded: its aim is not to relocate third country nationals collectively into any member state by changing the composition of the population, and there are several tools to protect citizens and national security as well as reduce migration pressure even by controversial steps. These steps could be efficient only by joint effort of all Member States, so the frequently repeated argument that EU is not acting to solve the crisis and it is solely the state’s obligation to protect the nationals concurs with the obligation of solidarity set out in Article 3 (3) TEU. The ECJ Advocate General Yves Bot emphasized in his opinion that it is ‘raison d’être and the objective of the European project’ to enhance solidarity. At the moment of filing the complaint against relocation decision it was already evident that the implementation of relocation decision will not be due until the ECJ’s decision. Therefore, after several attempts to convince the Government to cooperate, the European Commission has launched an infringement procedure against Hungary on 14 June 2017 for the non-compliance with its obligations under the 1601/2015 Council Decision. The obligations imposed on Hungary by that decision are of a provisional nature and are valid only until September 26th 2017, as the Court reiterated in its judgment. It is highly unlikely that the decision will be implemented until that date. Nevertheless, as a result of the binding ECJ judgement it will not be easy to find adequate arguments for not taking part in the relocation scheme. There might be a way to explain the unexplainable, though. Let us suppose Hungary calls up the national identity clause (Article 4 (2) TEU) in the pending infringement procedure in order to justify the derogation from the relocation decisions. In this case, the ECJ might examine the proportionality of the measure individually in comparison with solidarity as a fundamental value of the EU. But it is also possible that the ECJ would apply other tests such as the comparative burden test (as the CC did in another case) as national identity and solidarity are fundamental principles and not fundamental rights. Based on the relevant case law of the ECJ (e.g. C- 51/08, C-208/09, C-391/09, C-393/10, C-202/11, C-151/12) we would suppose that solidarity would win this game. Another possible scenario could be the amendment of the Fundamental Law in the name of protecting the national identity. Speaking of national identity: the refugee march from the Keleti Railway Station in 4 September 2015, which had set in motion the whole messy process, made several things clear. First of all, there was a stark contrast between the act of governmental agencies and the willingness and hospitality of those who were closely in touch with the migrants. This was the moment when a key element of our national identity, the famous Hungarian hospitality, could have been shown. The practical solidarity with those who are in need goes hand in hand with the idea of almost blind heroism and stubbornness in the genes of the children of hussars and hajduk in a country has such a rich history including collective memory of hundreds of years of oppression and the resulting strong, even instinctive protective attitude. This country has more than a dozen of different minorities coexisting for hundreds of years. In theory, this country would have been an ideal community for integration by European standards. SUGGESTED CITATION Nagy-Nádasdi, Anita Rozália; Kőhalmi, Barbara: Hungarian Constitutional Identity and the ECJ Decision on Refugee Quota, VerfBlog, 2017/9/08, https://verfassungsblog.de/hungarian-constitutional-identity-and-the-ecj-decision-on-refugee-quota/. Many thanks for this very interesting post ! I just don’t understand what kind of constitutional identity Hungary may invoke in the hypothesis you made of an infringement procedure launched by the European Commission. May not welcome refugees who are in need be a part of Hungarian constitutional identity ? Or, to say that Hungary is a country which is "virtually ethnically homogeneous" (paraphrasing Polish argument in the case C-647/15) may be invoked as a part of constitutional identity ? In any case, it is very doubtful to say the least that such call on constitutional identity would be accepted by the ECJ. As you mention it at the end of the post, Hungarian people seem to be conscious of the need of some solidarity. It might be a further question what would happen with relocated asylum-seekers since the Hungarian asylum procedure is far from the best. (See: http://www.asylumineurope.org/sites/default/files/report-download/aida_hu_2016update.pdf) A common procedural regulation is very much needed. Relocated asylum-seekers would be in an unfair situation without it. Intriguing summary of the story that we could follow up close here in Hungary. I would add that apart from the fact that the lawsuit was based on a questionable legal basis, the complaint itself was professionally developed and had some arguments that seemed correct at first sight. In my opinion this article is placing too much emphasis on the quota referendum, which ended unsuccessfully for the government. In order to understand the viewpoint of the CC I would have rather presented the actual composition and the brief history of the Hungarian CC.